Ever since the end of America’s Vietnam catastrophe, experts on both sides of the Pacific have sounded warnings about anachronistic, wasteful, and dangerously misguided U.S. military policies, seemingly perpetuated by inertia, in East Asia. Yet their recommendations are ignored and new policy initiatives thwarted. As a candidate for president in early 1975, Jimmy Carter advocated removing U.S. forces from South Korea. Of Carter’s meeting that year with researchers at the Brookings Institution, Senior Fellow Barry M. Blechman recalled, “I told Carter we should take out the nukes (nuclear weapons) right off and phase out the ground troops over four or five years. I said the most important reason was to avoid getting the U.S. involved with ground forces almost automatically in a new war which is, of course, why the South Koreans want them there.” However, Major General John K. Singlaub, U.S. Forces Korea Chief of Staff at the time, publicly criticized Carter’s proposed withdrawal and CIA Director Stansfield Turner privately expressed misgivings.1 It was never implemented. Everything seemed on track for the establishment of diplomatic relations until the 2000 presidential election when a Supreme Court ruling gave George W. Bush the win over Vice President Al Gore. Clinton then got cold feet and declared he would leave the final decision on the reestablishment of diplomatic relations up to the next president. The Bush-Cheney administration promptly killed the initiative, declared North Korea and Iraq to be 2/3 of an axis of evil, and invaded Iraq two years later forcing “regime change.” In a likely response, the DPRK proceeded to manufacture nuclear weapons. Thus ended prospects for a rapprochement. As for the dangers of another war on the Korean Peninsula, Taoka Shunji argues in the article below that, if U.S. forces left Japan, North Korea would have no more reason to target them with missiles. Taoka also points out that withdrawing U.S. forces in Japan would relieve Okinawa of its disproportionate burden of bases, though his proposal to move the Marines in Okinawa to a Japan Ground Self Defense Forces base on the mainland seems unrealistic, considering the Japanese government’s insistence on keeping the Marines in Okinawa. Statements during the American election campaign by people uninformed or uninterested in foreign policy were like a mixture of bits and pieces stirred into a fruit punch. Yet there was a certain consistency of opinion that “we can no longer be the world’s policeman” and “we must fundamentally reevaluate our alliances.” With the end of the Cold War, the Eastern Bloc has disappeared. That the Western alliances remain unchanged is a historic anomaly. Reevaluation is sorely needed. This year Japan is paying 556.6 billion yen (4.8 billion dollars) for the stationing of U.S. forces here, 165.8 billion yen (1.5 billion dollars) for land-leases, and, according to last year’s figures, 8.8 billion yen (77 million dollars) to subsidize the bases. About all the U.S. pays for are the troops’ salaries. If our costs go any higher, we should consider treating the U.S. military as a mercenary force under the command of Japan’s Self Defense Forces. The claim that the American military protects Japan is false. There is no component of U.S. forces here with the mission to directly defend Japan. For example, the 7th Fleet is based at Sasebo and Yokosuka to maintain American naval supremacy in the Western Pacific and the Indian Ocean. The Marines, which are used in land warfare, ride aboard their ships. They do not defend Okinawa. 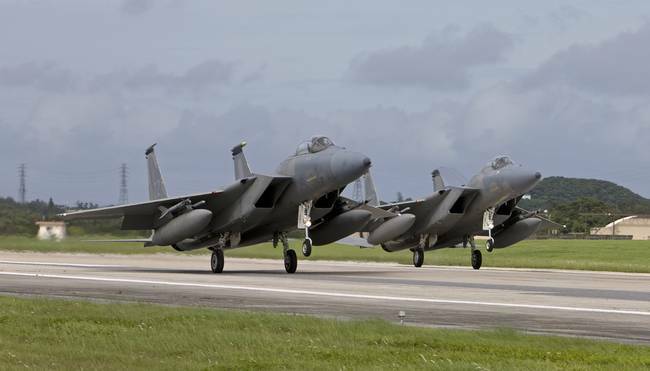 The fighter aircraft at Kadena Air Base (Okinawa Prefecture) and Misawa Air Base (Aomori Prefecture) are deployed to the Middle East. All of Japan’s air space is defended by Air SDF. In Okinawa the U.S. Air Force’s ammunition depot at Kadena and the Navy’s storage facilities at White Beach have nothing to do with defending Japan. However, if U.S. forces were to return to the United States, the American government would have to pay for them. Therefore, as has been noted in Congress any number of times, it is cheaper to keep them in Japan. According to the U.S.-Japan Defense Guidelines, “Japan is fully responsible for the defense of its people and territory . . . supplemented by U.S. forces.” Even if American forces were to leave, there would be no gap in Japan’s defenses. Should the U.S. seek to increase Japan’s financial burden now, it would violate the host nation support agreement (“sympathy budget”) concluded late last year for a five-year term, meaning that it is o.k. anytime for the U.S. to kick around Japan. 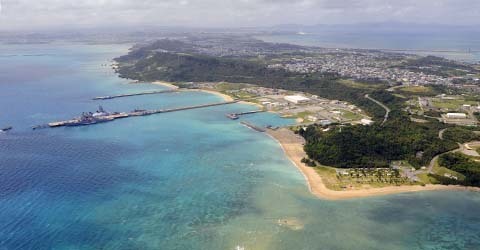 The benefits of withdrawing U.S. forces would include (1) solving the base problem in Okinawa, (2) relieving Japan of an annual burden of close to 557 billion yen (4.8 billion dollars), and (3) greatly reducing the nuclear threat since, if U.S. bases in Japan were removed, North Korea would have no reason for missiles targeting them, or South Korean and U.S. bases in Korea. Realistically speaking, America is unlikely to relinquish its position as the world’s No. 1 sea power. 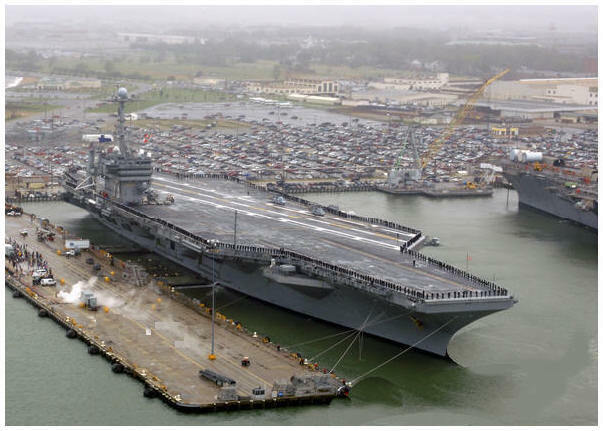 If the U.S. wants to maintain naval supremacy in the Western Pacific and Indian Ocean, it cannot abandon its ship maintenance and repair facilities at Yokosuka and Sasebo. The U.S. currently uses the airfield at Iwakuni (Yamaguchi Prefecture) for planes assigned to its aircraft carriers, and the bases in Okinawa for Marines on stand-by for deployments. 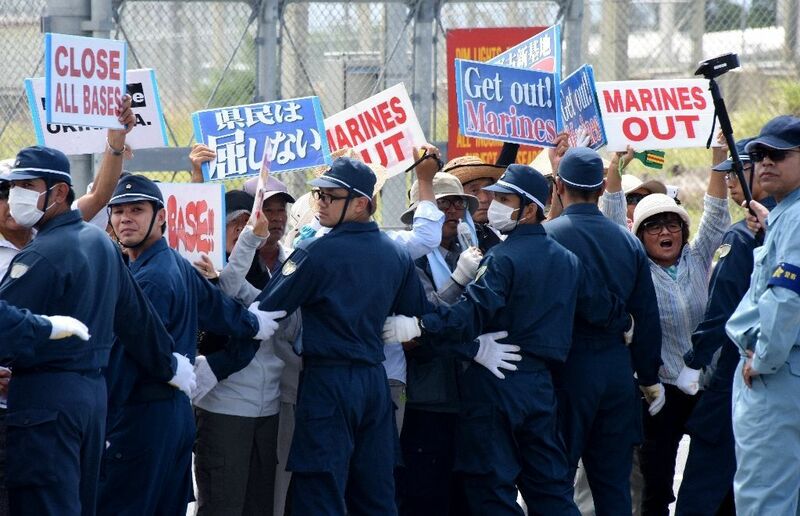 But the Marines do not have to be in Okinawa. They could move to the Ground SDF’s Ainoura Garrison, conveniently located in Sasebo (Nagasaki Prefecture) next to the U.S. Navy Base. Finally, if in the future Japan told the U.S. it was free to pull out its forces, the U.S. would probably want them to stay. 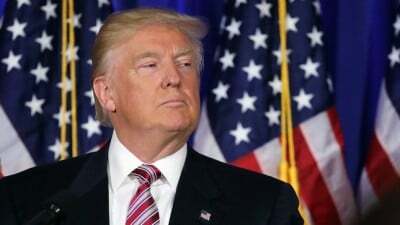 In the meantime, in demanding Japan pay more for them, Trump would seem to have his “trump card,” but Japan would actually have the upper hand. Overcoming the myth that American forces protect Japan would give us the chance to clearly assert our true interests. The Foreign Ministry and the administration would then need to muster the courage to let President Trump play his card. 1Don Oberdorfer, “Carter’s Decision on Korea Traced Back to January, 1975,” Washington Post, December 6, 1977. 2Michael Johns, “The Admiral Who Jumped Ship: Inside the Center for Defense Information,” Policy Review, 1988. 3Chalmers Johnson, Blowback: The Costs and Consequences of American Empire, Metropolitan Books, 2000, p. 58. 5“The U.S.-North Korean Agreed Framework,” Arms Control Association Fact Sheet, August, 2004. Taoka Shunji was a defense writer of the Asahi Shinbun (1968-2004), Senior Fellow of CSIS (1974-75), Guest Fellow of Stockholm International Peace Research Institute (1986-87), and Co-author of Superpowers at Sea (1988, Oxford Univ. Press). He is presently a TV commentator. Steve Rabson is Professor Emeritus of East Asian Studies, Brown University. His books are Okinawa: Two Postwar Novellas (Institute of East Asian Studies, University of California, Berkeley, 1989, reprinted 1996), Righteous Cause or Tragic Folly: Changing Views of War in Modern Japanese Poetry (Center for Japanese Studies, University of Michigan, 1998), Southern Exposure: Modern Japanese Literature from Okinawa, co-edited with Michael Molasky (University of Hawaii Press, 2000), The Okinawan Diaspora in Japan: Crossing the Borders Within (University of Hawaii Press, 2012) and Islands of Resistance: Japanese Literature from Okinawa, co-edited with Davinder Bhowmik (University of Hawaii Press, 2016). He was stationed in Okinawa as a U.S. Army draftee in 1967-68. He is an Asia-Pacific Journal Associate.